The Colorado Department of Transportation has launched a safety campaign aimed at reducing teen fatalities in the state. Here is an alarming statistic. In 2017, 67 Colorado young people between the ages of 15 and 20 lost their lives in vehicle accidents. These are precious lives with so much potential, so much of life ahead, but now are no longer with us. Think about all of the grieving families each one of these lives represents. Last year's teen fatality numbers are up 22% from 2016 when 55 young people died on Colorado roads, and it's the highest count since 2008. 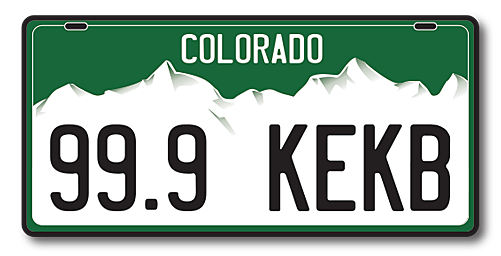 The aim is to increase awareness of Colorado's Graduated Drivers Licensing program. (GDL) The GDL puts restrictions on teen drivers as they gradually gain driving experience and increased skills. GDL laws restrict the number of passengers permitted, banning cellphone use, setting a curfew and requiring driver education. CDOT communications manager Sam Cole says one out of five 16 year-year-old drivers will be in a crash, and carrying just one passenger at that age increases the risk by 50%. The campaign hopes to educate teen drivers on the GDL laws and restrictions, which in turn, it's hoped will help reduce the number of accidents as well as the number of fatalities. Humorous and informative videos will be placed on social media sites, where teens spend a lot of their time. Parents can help by educating themselves on GDL laws and, in turn, making sure their teens are closely following the rules, which are in place for the express purpose of saving lives.